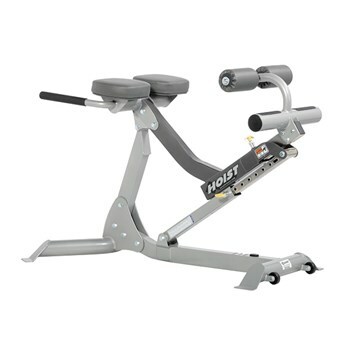 This highly engineered piece of equipment was created specifically to use with Roman Chair workouts for maximum core strength. 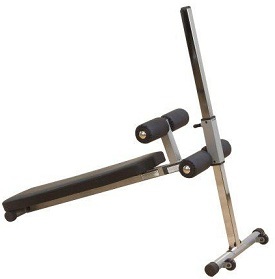 This version of the Roman Chair is a rock solid machine for focusing on core strengthbuilding. 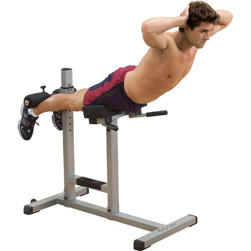 Pinpoints the abdominals, obliques, lower back, glutes and hamstrings with a variety of exercise options that range from ab crunches to back extensions. 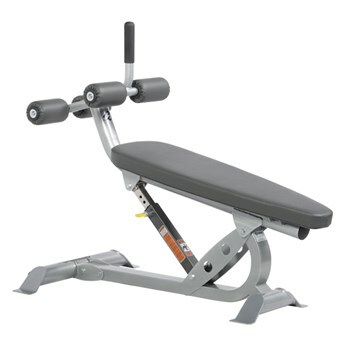 strong>Winner of the Ion® Awards for Abdominals Product of the Year!This Ab/Back Roman Hyperextension Chair has nine adjustable roller pad and foot bar positions. 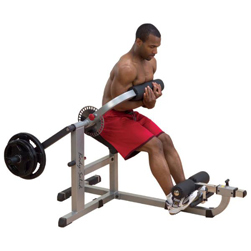 This Ab/Back Hyper Bench is good for Ab and Back exercises in one bench, with eleven adjustable positions for various heights. This Flat/incline/decline can allow for ten adjustable exercises. 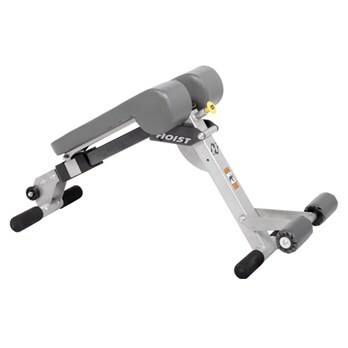 Wheels provide tilt & roll capability. 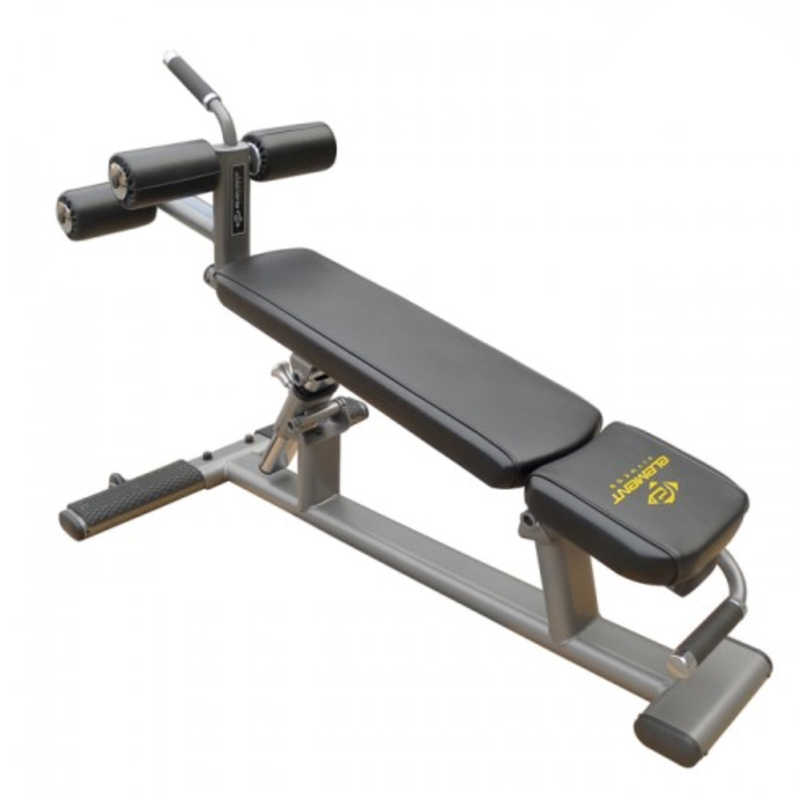 Commercial quality adjustable ab bench. 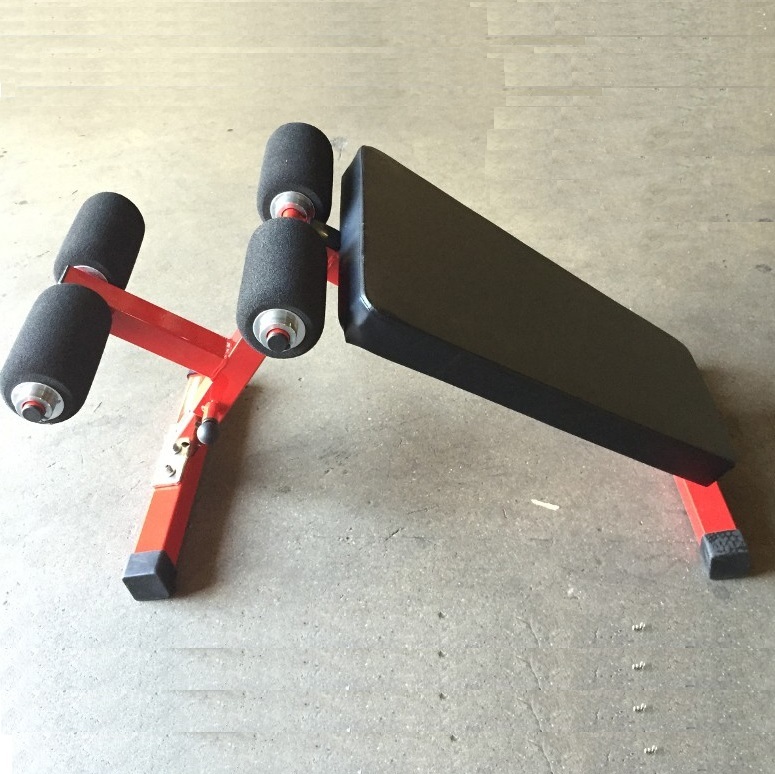 11 gauge steel, 2" X 2" tube, foam rollers, upholstered pad. This unit is built to order, lead time of 3-4 weeks. 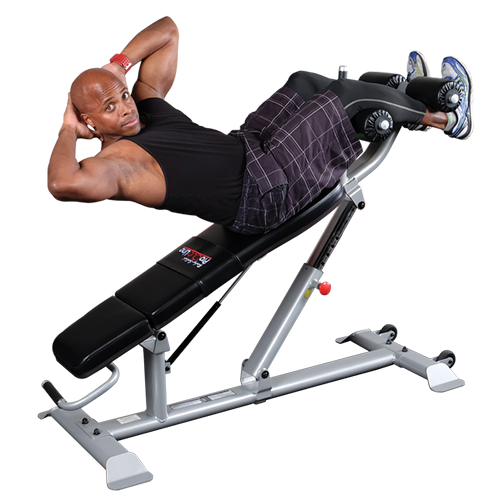 Abs are a crucial element to any gym routine, and the Adjustable Ab Bench makes crunches and other abdominal exercises easy peasy with its 12 adjustable positions. 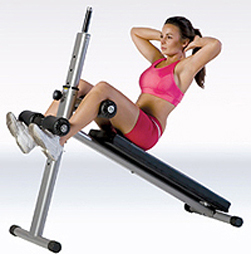 Build a stronger, more toned core with Body-Solid’s SAB500 Ab Bench.